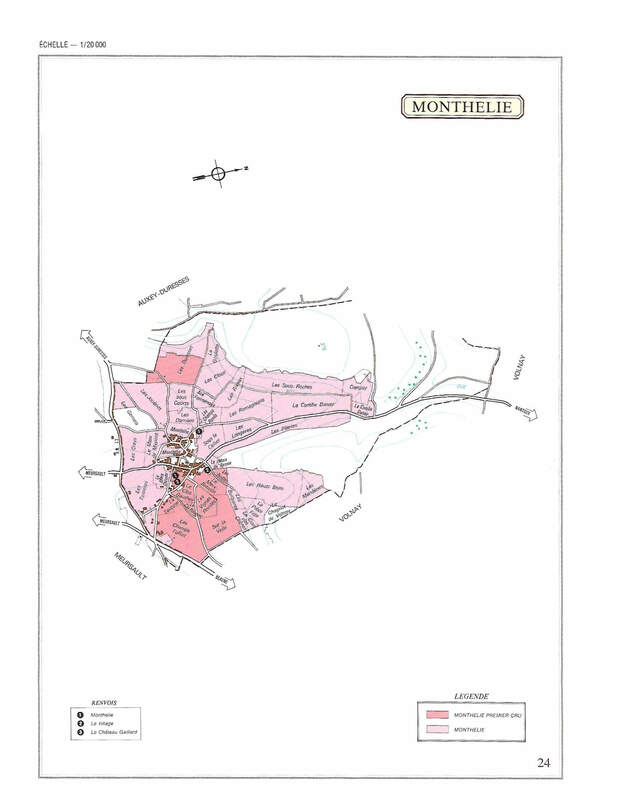 Monthelie is a tiny commune between Volnay and Meursault. It is situated on the very top of the slope. Its vineyards are clustered tightly together. Again, this town is tiny! Most of the wines from Monthelie are red, like its neighbor, Volnay. There is an appreciable number of white wines, however, since this town also borders the famous white-wine town of Meursault. While the wines from Monthelie don’t quite have the body of its neighbors, they are delicious and can age for quite a long time. We have one producer with wines from Monthelie. These wines offer excellent value (high quality for a relatively low price). Please call us to learn more about our Monthelie Wines and their availability.